One of the reasons that the service sector dominated the economy by 2004 was the success of tourism. In the previous 30 years New Zealand had become an important tourist destination as international travellers were attracted by the country’s reputation for physical beauty. The alpine regions of the South Island had particular appeal and were used extensively in the Oscar-winning film trilogy The lord of the rings. 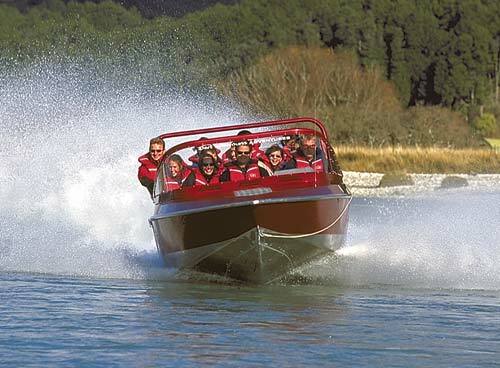 These tourists are on a jet boat on the Dart River, near Glenorchy, Otago.